Palm Villa Terry Lounge Set is great whether you are active or at ease. 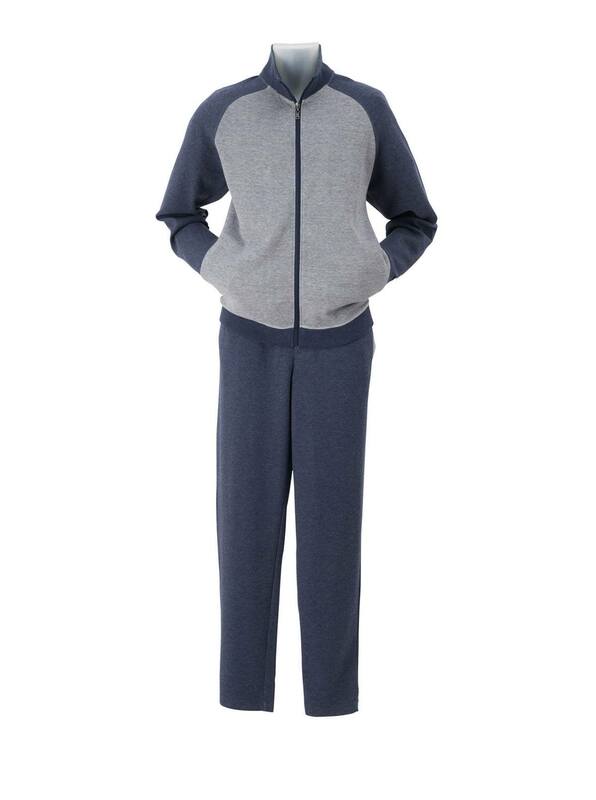 Full-zip top has knit tri-color collar, cuffs and waist, 2 pockets. Drawstring pants have 3 pockets, zip fly, open bottoms. 80% cotton/20% polyester. Imported.